Jackpot! We found the Centro de Salud in Jocotan, Guatemala where we will be able to access the services and support needed for the TB project in San Jose. We discussed our process with the TB nurse and ￼were pleased that it follows their process. BONUS! We also visited a “recuperation centre” that could be an excellent service for us to refer people to. We also have had help from a Doc doing his Community Health rotation to give us input on the project. He has been so very helpful and willing to share all kinds of health statistics with us as well as editing our symptom inquiry. 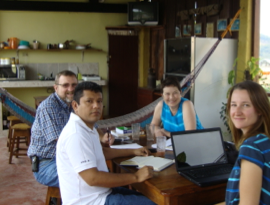 The photo is of us meeting with Humberto, the Doc in a local cafe. It’s been great to have Maria here. We collaborate on all the projects going on in this area and are now able to fill in for each other in supervision, and organizational duties. She will represent Karen, A Better World and myself at Carrisalito next week at the party they are having to celebrate the new school. 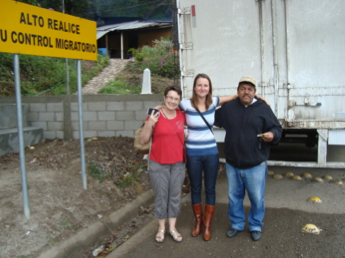 This is a little about my day yesterday……….the first photo is of us meeting with Brayan from an organization that has a school offering computer education to Grade 7, 8, 9. 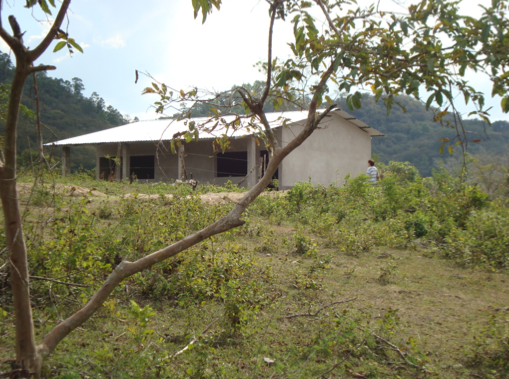 I think we’ll set up a partnership with the school and make El Chilar a satellite school. The other photo is of Carlos repaying me the total amount of money that I leant him to finish Grade 12. Massimo stopping by with 5 of the kids from the orphanage. Brayan is here and neighborhood kids are going in and out. Marias downstairs right now making Lemon squares with them. Pizza is next on the agenda. There has to be a better and more cost effective way of providing some manner of health care in these rural communities. 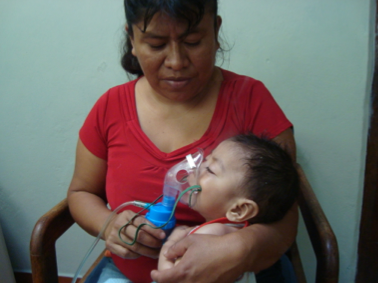 Arranging to bring a child who is acutely ill an hour into Copan with transport costing 20-25$ because they don’t have a supply of asthma drugs is totally inefficient. In an attempt to circumvent some of the “bandaid” type care that seems to happen, I am funding a Doc to spend the day in San Jose with me and start files on the more needy cases. She will keep a copy of the record and we will give one to the family. At least, that way, if the patient needs to seek care again, they have some medical history. The other thing I will ask her help with is feedback on my TB surveillance proposal. It is worth a try and may have the potential of providing some continuity of care for some. I’m astounded by whole communities where diabetics just eventually die from lack of treatment and knowledge, tuberculosis spreads and kills, asthma is prevalent and often untreated….and on and on. On the upside…..this was my first glimpse of the new San Jose school. Congratulations to Maria and all the rest who have made this possible. I am so excited to have Maria see this. 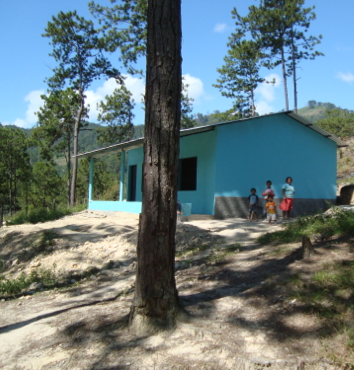 The CARRISALITO school is done! I just got back from viewing the completed project and meeting with the teacher. Now that the school is done, it’s looking pretty empty with the few well worn desks that they have. I had Reina Isabelle (the teacher) make me a list of what they could use. We decided on tables and benches for the students, one cupboard to store books and a whiteboard. I will get estimates on the cost later today. As I sit here at the Llama del Bosque, I am reflecting on what we have accomplished here in Honduras in the past couple of years… 4 schools, a chicken project, a micro loan for a pulperia, a new school roof, bathrooms and pila for a school, 4 students finished Grade 7, and 2 micro loans. 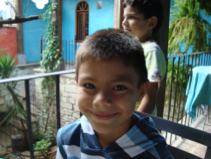 You are currently browsing the Carol in Honduras blog archives for January, 2012.